Sep 11, 2014 News!Welcome Prof. Yucong Duan to be the Editor-in-Chief of IJCEE! Oct 17, 2013 News!Prof. Asim Kumar Sen has been selected as a reviewer of IJCEE. Jun 05, 2013 News!Prof. Sankar Subramaniyan has been selected as a reviewer of IJCEE. 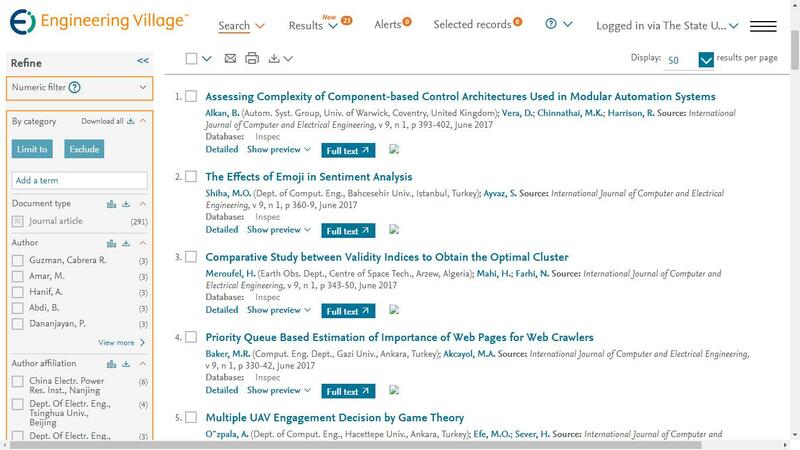 May 13, 2013 News!IJCEE has been indexed by Electronic Journals Library! May 10, 2013 News!Welcome Proc. Sanjeevikumar Padmanaban to join the Editorial board of IJCEE.